With a stunning landscape of pristine beaches and mountainous cliff sides, Anglesey is the perfect destination for some outdoor adventure and adrenaline junkies. In May, there are several events that will be perfect for summer travellers to this unique part of the world. From hiking, to rock climbing, and motorbike racing; there is every reason to visit North Wales this reason. And no one knows this better than our resident adrenaline junkies. So, if you want to really get the heart pumping this year, then here are our five activities to experience in Anglesey. One of the most popular racing events in Wales, Thunderfest is a haven for petrolheads and adrenalin junkies alike. In this exclusive two-day event, riders will battle to maintain their top speeds whilst tackling some of the most dramatic and challenging scenery in Anglesey. The event has recently merged together with the Welsh Classic Motorcycle Festival – meaning that there’ll also be plenty of opportunities to see some retro cars in action. But don’t expect this to be a quiet day out. Packed full of nostalgia, entertainment, and an abundance of auto engineering, this is the ultimate day out for Anglesey visitors with a need for speed. If you’re not content with being a spectator, then you’ll love the chance to get muddy and sun-beaten in the Isle of Anglesey Walking and Outdoor Festival. This fantastic event gives tourists and locals alike the chance to experience Anglesey at entirely their own pace – whether that’s walking, cycling, or hiking in the picturesque hills. And what’s more, you’ll never get a better opportunity to learn more about Anglesey’s fascinating local myths and legends. The festival will offer numerous walking activities around Anglesey’s coastal routes, scenic villages, and one of a kind wetlands. Alternatively, if you fancy watching the beautiful scenery from the comfort of indoors, you can also enjoy a relaxing bus tour of the island. This is your holiday, after all! Only 20 minutes drive from Anglesey, Snowdonia National Park is a treasure trove of wonderful outdoor activities that will really get the heart pumping. Whether you love hiking, mountain biking, or gently strolling across the valleys, this national park has something for everyone. This wonderful location is also a cultural hub for the Welsh language – where 58.6% of the population use Welsh as their mother tongue. So get out the hiking boots, pack the sunscreen, and bring plenty of layers. Snowdonia National Park is one of the most dramatic landscapes across the United Kingdom. If all that wasn’t enough, and you’d prefer to venture somewhere closer to home, then have a look at Anglesey Adventures. The options really are endless. So get stuck in! If Anglesey is famous for one thing, it’s the beautiful salt air and iconic coasts that characterise North Wales. And to make the most of it, we heartily recommend experiencing this rugged landscape first-hand with some rock climbing. 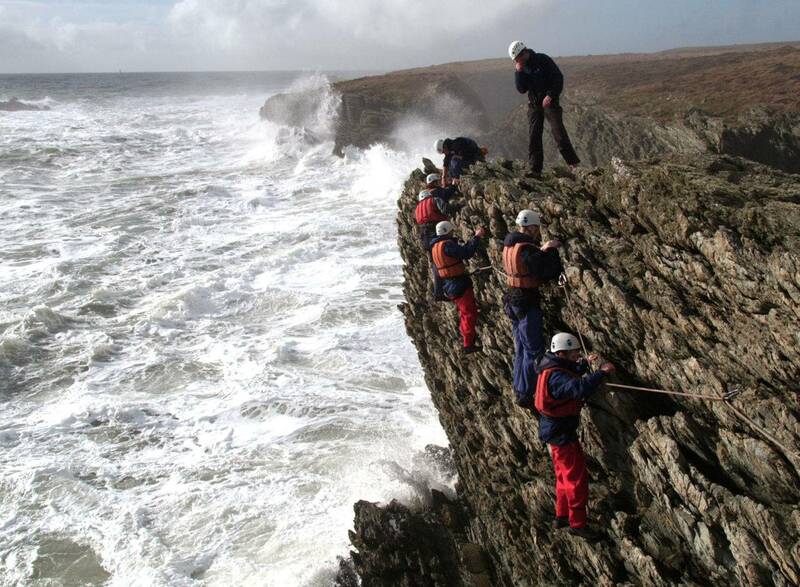 Participants will work together with an experienced mountaineer who can offer all the training and guidance you need to get up close and personal with Anglesey. Plus, they’ll supply all of the equipment too. Bonus! At Silver Bay Holiday Village, we know how important it is for families and couples alike to experience the great outdoors and appreciate some quality time together. That’s why Anglesey offers an abundance of heart-pumping activities that all the family can enjoy. And we promise we won’t tell anyone if you’d prefer to relax in our luxury spa instead. previousEvents for your Calendar! Get ready for Summertime on Anglesey! nextYour May Bank Holiday at Silver Bay Holiday Village!